Comments: Sadly, the Oxford-educated Khairy Jamaluddin, long touted as a potential future prime minister, has abandoned all pretence at moderation and thrown in his lot with the racists and extremists in his party. At a time when our nation is beset with so many real and pressing problems – corruption, the abuse of power, a declining education system, growing income disparity – Khairy chooses to make much ado about non-existent threats and imaginary enemies and play the politics of division and fear. That someone like Khairy should resort to such blatant racism to win support says a lot about the kind of party UMNO has become. The UMNO General Assembly is descending into a hate fest with terrible consequences for the nation. Intolerance, hate, extremism and exclusion has become the order of the day. KUALA LUMPUR, Nov 26 — Umno Youth chief Khairy Jamaluddin called on Malays today to rise and defend themselves from an onslaught of insults and challenges to their special position in the country, declaring that the country’s majority ethnic group has been patient enough. Scoffing at a recent statement by Penang Chief Minister Lim Guan Eng who had called Khairy “racist” over the content of his policy speech at the start of Umno youth wing’s general assembly this morning, the Umno minister said the DAP leader was mistaken in thinking that there is nobody questioning the rights of the Malays. “Right after that I read that statement, I went on Twitter and immediately there are these posts questioning DBKL’s decision to rename several roads after our previous Yang Di-pertuan Agongs, who were the leaders of all Malaysians,” he said, referring to Kuala Lumpur City Hall by its Malay initials. “One post read, ‘What is the Agong’s contribution that they need to be given such an honour? At least Karpal Singh contributed to the people’,” he said in his winding up speech, eliciting jeers from Umno Youth delegates. “In Penang they renamed a road to Jalan Karpal Singh, and nobody made any noise… when they say nobody is challenging, I open Twitter and I immediately see all this… this is proof that if we don’t rise and defend our race, religion and country, we will be ridiculed,” Khairy added. Earlier today, Lim issued a statement criticising Khairy for playing up racial sentiments at the expense of the country’s minorities at the on-going Umno general assembly instead of focusing on pressing issues, such as the economy. The DAP secretary-general said it was “dishonest and evil politics” for Khairy to make “false and malicious” claims that non-Malays had questioned the rights of the Malays as enshrined in the Federal Constitution. In his policy speech this morning, Khairy said it is only fair that the non-Malays reciprocate the Malay community’s decision to honour their side of the bargain under the “social contract” by continuing to recognise the rights of the non-Malays as citizens. Khairy, in his evening speech, stressed that the Malays have always been at the forefront in defence of all Malaysians against insults and attacks, regardless of race or religion. Describing the Malays as an “honourable race”, he said the Malays have kept their cool even after being called racist for defending themselves from similar attacks. “We have endured this for so long. Beware, when our pride is challenged… Malays are not ones to be challenged or insulted. We take care of this country for all Malaysians, but don’t question our rights,” he said. Khairy, meanwhile, urged all Umno Youth members to get straight to work in pushing the party “rejuvenation” agenda mooted by Umno president and Prime Minister Datuk Seri Najib Razak, to shed the perception that the wing members are only “waiting on projects, sitting in hotel lobbies and smoking cigars”. 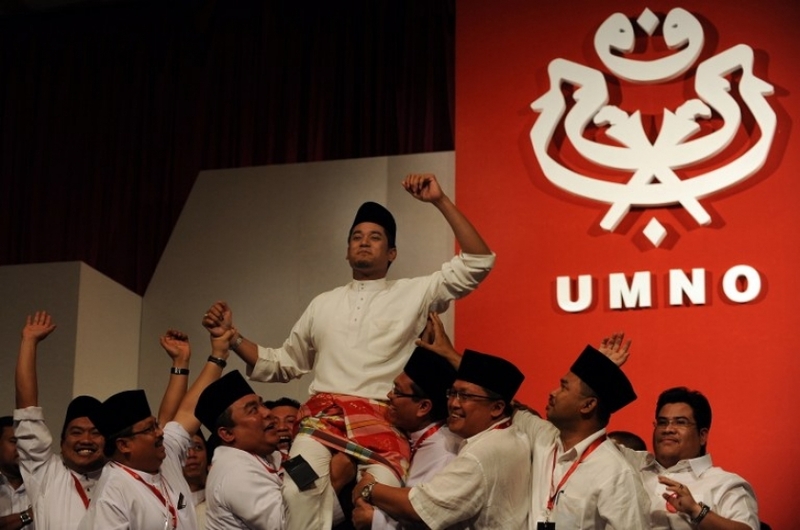 Khairy said the onus is on them to prove to the party’s top tier that they are ready to take on the mantle of leadership and reclaim whatever ground lost over the two past national polls. “We want to prove to the party leadership, that this is not just empty talk. We must show that we are ready and that we have done our work… don’t just ask for it. We must prove we are qualified to be given a place” in the main party, he said.